Use inspection data to build a 3D model of your collection system, including laterals measured with Photo Assistant. When selected, 3D assets are highlighted automatically in WinCan. 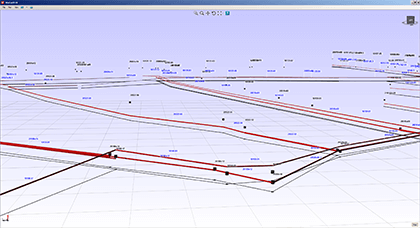 Overlay maps to fine tune your models, and then generate new drawings or export the model to CAD as a DXF.